As for the quote, I couldn't help it guys; I (along with lots of people [mostly children]) am so excited that Rick Riordan's The House of Hades (Heroes of Olympus, Book 4) comes out today!! Are you guys Percy Jackson fans? Or are there any books that you're anxiously waiting for? Have an exciting day my friends! I know I'm going to! 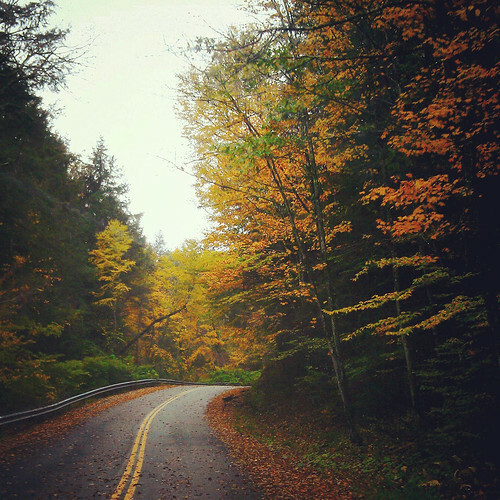 Lovely photo of the road scattered with fallen leaves and that special autumn atmosphere. I am not familiar with the author you mentioned or the book titles. Oh, yes!!! I'm waiting for my copy too!!! Nice and lovely blog!!! Thanks Claudia! Sorry for the late response! Have you finished it yet? I did, and loved it!! My kids are waiting for this book, too! I've read all Harry Potter books, some of them twice, maybe I should try this series, too? Beautiful picture, makes you wonder: "what's behind this turn..."?